Starting in 2007 André Stagge worked for 10 years as a senior portfolio manager at one of the main German asset management companies. He was responsible for manging four investment funds with a combined value of 2,5 billion Euro. Under his stewardship these funds returned over 500 million Euro (after costs) for clients. Available (for free) from André Stagge in the NanoTrader trading platform. Both the above strategies are available in the free Mail & Click service. PAGE BEING CONSTRUCTED For nearly three decades now Andre Stagge has been obsessed with the markets, trading and investment. Until he started for his own account in 2017 he was employed as a senior portfolio manager at a major fund management company. His daily tasks consisted of investing actively in forex, futures and options. His mission was to generate market neutral profits. Andre Stagge's annual profit target was at least an eight-digit number. Join free trading webinars with experienced traders in French, German and Dutch. André Stagge obtained his BWL degree from the university of Mannheim in Germany. He is a certified Eurex trader, a Certified Financial Technician (CFTe) and a Chartered Financial Analyst (CFA). Since 2013 he teaches professional banking at the GenoAcademy and since 2017 he teaches asset management at the International School of Management (ISM) in Frankfurt. Andre Stagge's has added two of his trading strategies to the NanoTrader trading platform. Both Turnaround Tuesday and Friday Gold Rush are swing trading strategies. Both trade on a particular day - Monday and Thursday, respectively. The strategies are easy to understand and are ideal for traders and active investors who only have a limited amount of time to dedicate to their trading. Both strategies are available for free and are part of the numerous free trading strategies available in the NanoTrader platform. The Turnaround Tuesday strategy concentrates on the German market index DAX. If the right conditions occur, a position is opened on Monday evening and held until Wednesday morning. The Friday Gold Rush strategy was solely designed to trade gold and potentially opens a position on Thursdays. The free Mail & Click service provided by broker WH SelfInvest includes both the Turnaround Tuesday and the Friday Gold Rush strategies. If a signal occurs clients get a message on their mobile phone. They can place a fully pre-formatted order on futures or CFDs by clicking one button. 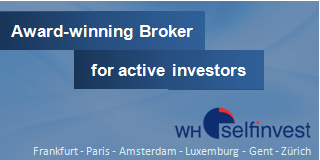 WH SelfInvest then opens AND closes the position according to the rules described by the relevant trading strategy. 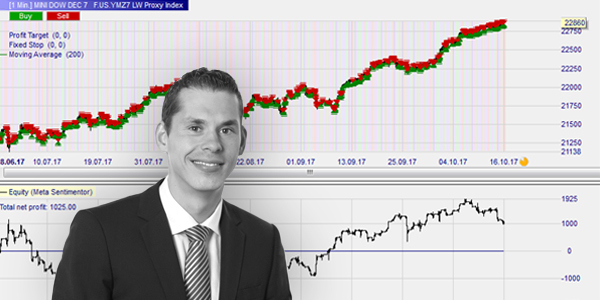 In this video (sorry, German language only) trader Andre Stagge describes five of his favourite trading strategies and explains why they work. "A big thank you for your service which is truly outstanding and efficient." Explore a new world in trading... download the free NanoTrader trading platform demo.